Quickly build a website to showcase your creative work. Open www.myportfolio.com in a web browser and sign in with your Adobe ID and password. Scroll down and click Create Your Portfolio, and then choose a layout from the existing options. 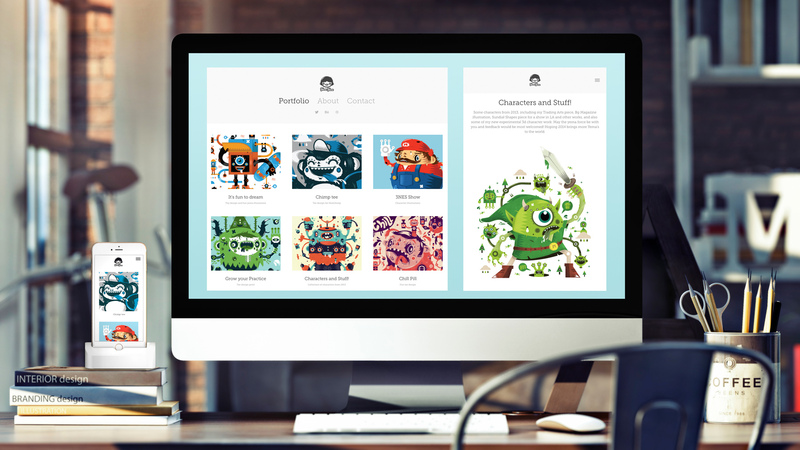 Now that your Portfolio is under way, click Edit your Portfolio to add media and modify it. You can also change the layout at any point without losing your work. You can group related images, video, and other media together as a project. Click the plus (+) icon in the toolbar and choose Project from the content type options. Type a name and click Create Project. Click Continue in the next explanatory screen. Note: Behance projects are automatically synced to your Portfolio. 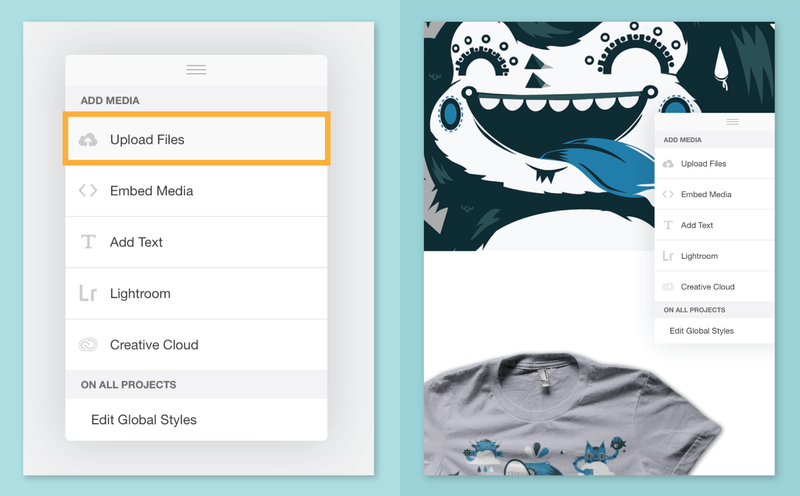 Use the floating menu to add content to your project. Click Upload Files and choose media directly from your computer. You can also embed media from other sources, such as YouTube, directly into your project. Or select items from your Lightroom collections on the web. Click Add Text to add a description or details about your project. 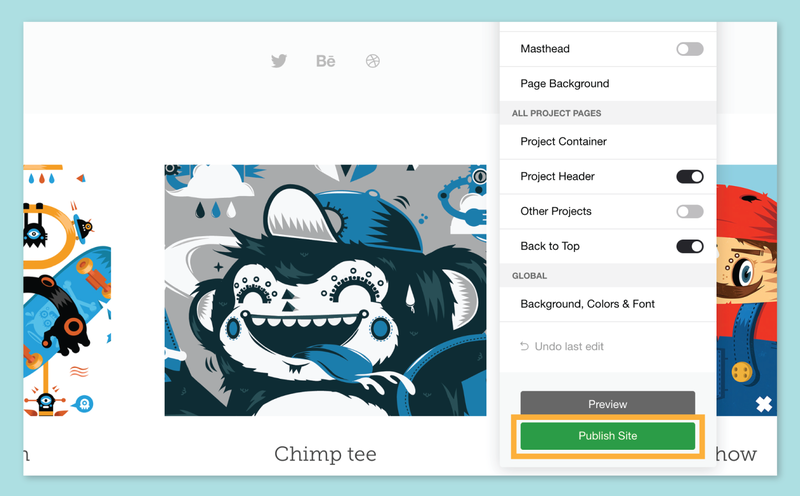 Click the pencil icon next to any of the elements and choose Reorder. In the dialog box that appears, drag the media or text to the order you want. Click Save New Order. Click Continue when you are ready to save your project. Select an image thumbnail to use as the cover photo, use the slider to adjust its size, and click Crop & Continue. On the next screen, add project details such as the title, description, and keywords. Also indicate whether to publish your work immediately on Behance. Click Create Project. Note: Your project is only publicly viewable when you select to publish it to Behance, or when you publish your Portfolio. 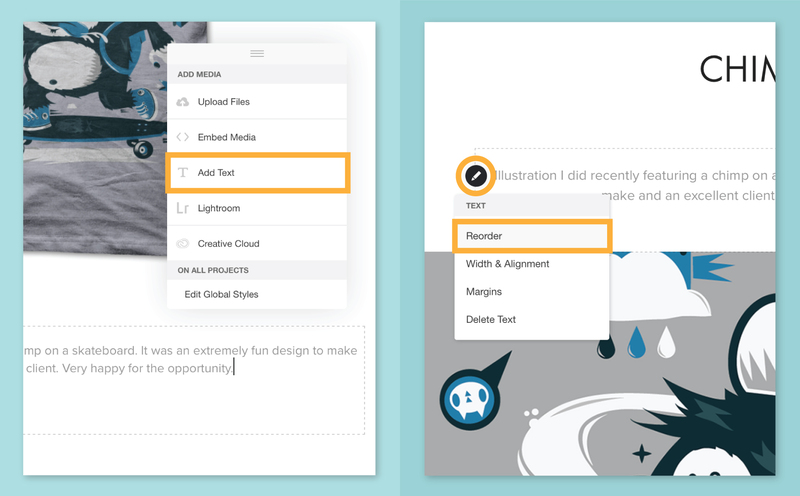 Click Edit Global Styles to customize the style and layout of the text and media featured for your individual project or gallery. Experiment with the settings in the different categories to achieve the overall style you want. Click Done. If the project looks good, click Update Project and then Return to Home on the status screen that appears. 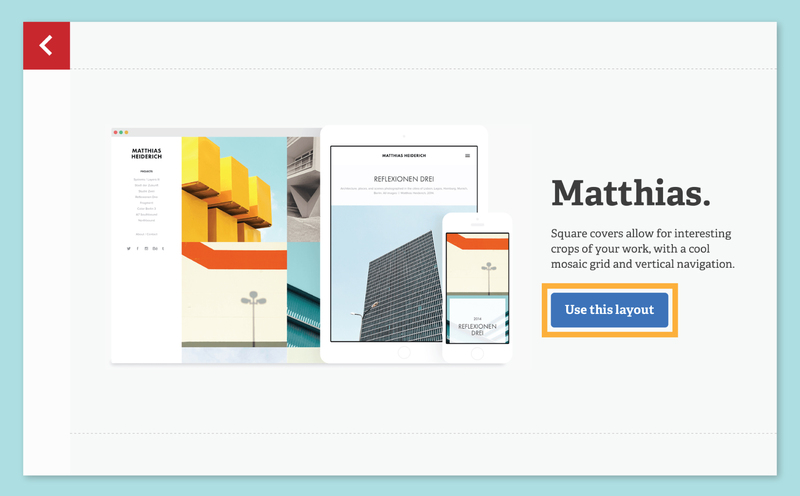 To edit the global styles for the main Portfolio page, click Return to Home. In the floating menu, click options such as Background, Colors & Font. toolbar. Find the layout you want and click Use This Layout to apply it. 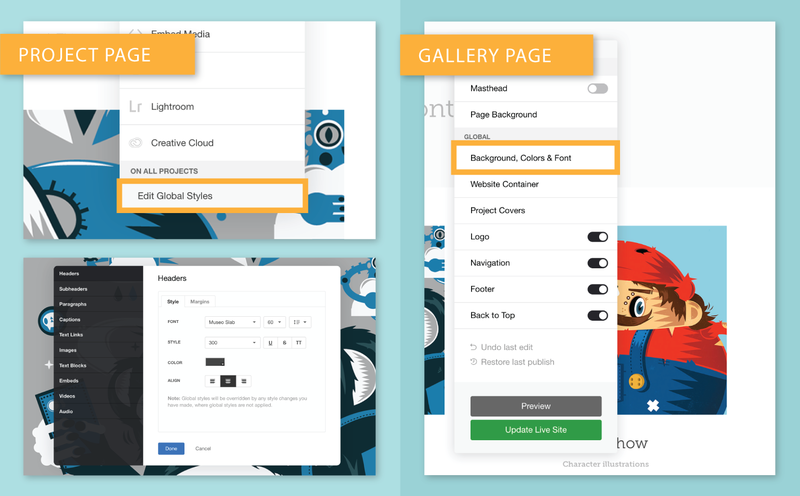 In addition to creating projects, you can group multiple projects by category in a gallery. 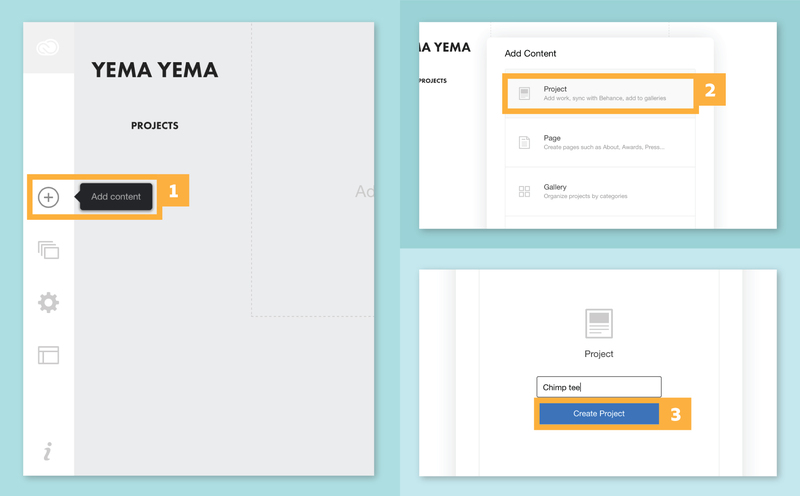 Or, add custom pages for non-project related content such as an About page, or a Contact page. Click Add Content (+) in the toolbar. 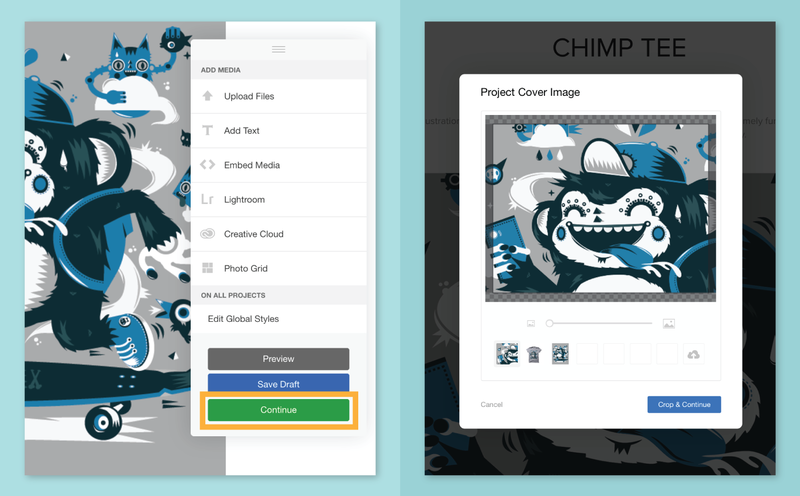 Before you publish your Portfolio, you must have created at least one project or gallery. When you are ready to show your work, click Publish Site to publish your Portfolio to the web. If you aren't a member with a Photography Plan, Single App, or a full Creative Cloud account, you will be prompted to subscribe to the plan of your choice. Membership is required to publish a portfolio. Click Edit Your Settings from the home page, then select Domain Name to add or modify your Portfolio URL. You can also link to a custom domain. Once your work is published, see how great it looks on a variety of devices. 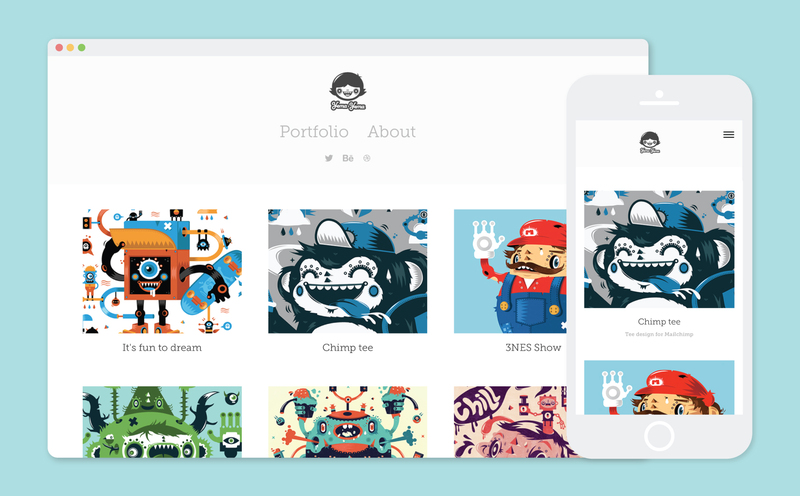 Be sure to view your Portfolio on mobile, tablet, and desktop browsers. And, be sure to share for others to see!